Previously, I’ve reviewed Kite’s Caiman, an entry-level binocular, and the Lynx, a mid-range model. From reptile to mammal to bird, the Bonelli carries the name of an eagle and is the top end offering from this Belgian brand. There are two in the range – an 8x42 and a 10x42. I played with the 8x42. The Bonelli 2.0 is chunky and robust with slightly ‘squared-off’ barrels and shallow thumb indents. It’s gas-filled and waterproof and feels like it could take some abuse. The aluminium-magnesium chassis is wrapped in rubber armour, and the Bonelli feels well-made. The armour could have done with a bit more glue in a couple of areas but this wasn’t a major issue. The 8x42 weighs 820g – not light but comparable to a number of other top-end 8x42s, and with its wide strap, I didn’t find it too heavy. The dioptre adjuster is a large, grooved metal ring that doesn’t lock, but is stiff enough to hold its position. The calibration dot is a bit hard to see – a minor thing, but something that could be improved. The twist-up eyecups work well, have two intermediate positions and can be easily removed for cleaning or, if you have to, replacement. The focusing wheel is one and a half fingers wide and moves very smoothly against just a little resistance. There’s a bit over two revolutions of movement (clockwise to infinity) but a quarter of a turn covers most real world birding. 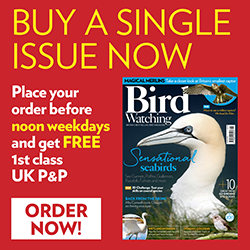 I found the focusing a joy to use – its action and precision were excellent – a stand-out feature of this binocular. Focusing is a pleasure, and the focused image is very, very good, picking out the yellow legs on a twisting fly-by Marsh Harrier 150 metres away. The view is crisp, punchy and very easy on the eyes – the kind of image that makes prolonged viewing a doddle. Sharpness is excellent – there is a little edge softness but you are unlikely to notice. Brightness was very good. To test low-light performance I waited for sunset on an almost completely overcast afternoon, with the River Cam behind me, Starlings and corvids on a stubble field in front of me, and the moan of the A14 to my left. The sun set and the Bonelli performed, pulling colours out of the autumn landscape and revealing detail on the closer, dark riverbank. Nine minutes later a Moorhen was on the move 25 metres away. With the Bonelli I could see that it was mainly brown and slate-grey and not black. Another 11 minutes passed and I could still pick out some landscape colours, though focusing was trickier, and some riverbank detail, though less than before. I was very impressed, but even the Bonelli couldn’t conjure up the hoped-for Barn Owl, unfortunately! Kite’s flagship binocular performed excellently against the light, and coped well with side-lighting – internal reflections seemed very well controlled. Its field of view is comparable to most top-end competition and its quoted close-focus (1.55m) is excellent, but for me, it was actually around 1.8m, which is still very respectable. Sometimes, however, I did see some colour-fringing – not around flying corvids or Cormorants as I might expect, but around Coot on the water for example. Adjusting my eye position improved things, but I would rather not have to. 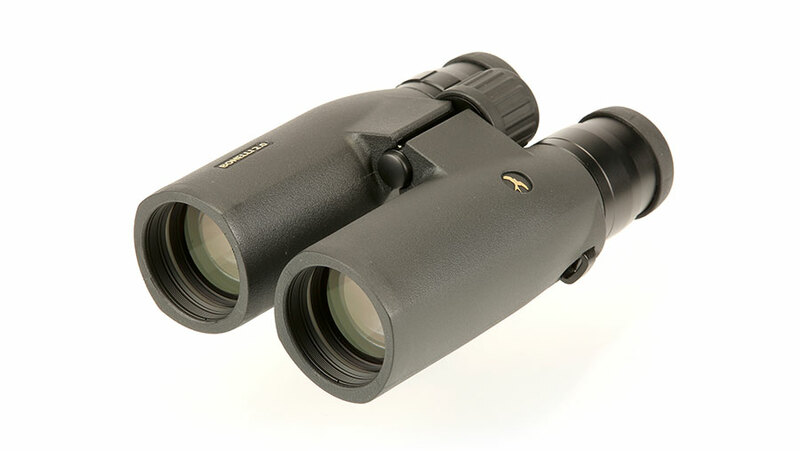 There are very few top-end binoculars at this price-point. The Bonelli seems built to last, handles well and has great focusing. Its glass, mostly, delivers a high quality, relaxing view with excellent low light performance. It’s definitely worth a look. If you’re thinking of buying just make sure any colour fringing isn’t an issue for you. Supplied with: strap; rainguard; tethered, removable objective covers; case; lens cloth.